Your first meeting with Clarice Vaz will find you a little overwhelmed by the enthusiasm this amazing human being exudes. 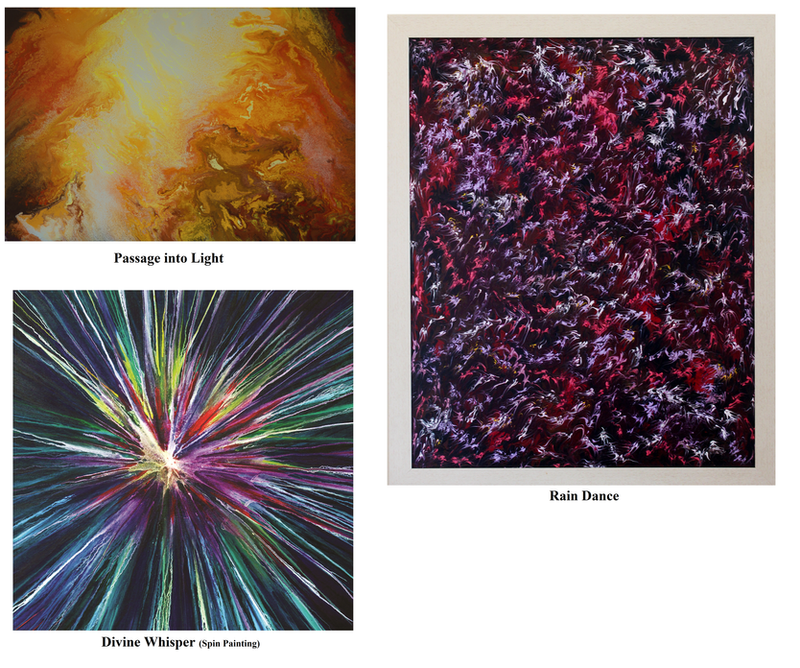 Her exuberance comes across vibrantly through her vivid paintings, awash with a myriad of colours. As she begins to unfold her artistic journey before you, you realise there is the existence of a great deal of testing, out of which these wonderful paintings have evolved. Clarice excelled in academics but her empathic nature lead her to choose nursing over a more self-serving profession. After the birth of her sons, Clarice gave up nursing full-time and restricted her practice to the quaint village of Saligao where she lives. When her sons left to pursue further education she filled the vacuum with her childhood inclination to paint. In spite of having no training as an artist, Clarice possesses a mastery over her paints that can only come from deep conviction and her love for God. During her early days she produced paintings of The Last Supper, the Saligao church, pet dogs and so on, earning the admiration and support of family and friends alike. 2011 brought a monumental loss with the death of her eldest son Craig due to an undiagnosed heart condition. She says of her experience, ‘When I found him, as a nurse I knew he was gone and yet I had this strange feeling that I cannot explain…as if I was being filled up by something…that there is much more to life, and death is not the end of everything. It was a turning point in my life.’ She does not cry at the memory. In fact, while she grapples with her own medical problems, it seems to fuel her with more passion for the painting that has restored equilibrium to her life. Clarice’s visits to her son’s grave strengthened her earlier desire to see the dreary Saligao cemetery, which was overgrown with greenery and weeds, restored to a semblance of dignity and respect for the dead that lay therein. 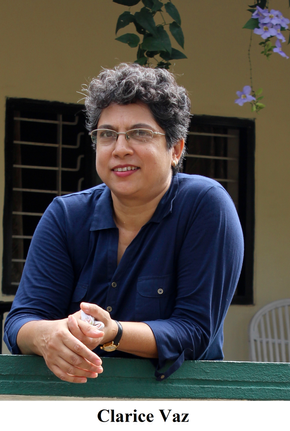 At about this time she had read Mel De Sousa’s Feast, Feni and Firecrackers, which relates the life of the author as a school boy in Saligao during the Portuguese rule in Goa. The book contains some wonderful sketches of the bygone era, but most striking was a visual representation of people depicted as their family nicknames, for example Saligao foxes. She had a eureka moment about using those nicknames to fund the Saligao cemetery’s facelift project, and wrote to Mel De Sousa asking his permission to reproduce his work to fund it. The first painting was half finished when her relatives and friends, who were from various countries abroad, arrived to condole Craig’s death. When they caught sight of the painting, they began to squabble over who should have the painting. Clarice decided to make canvas prints of this painting and two others called Saligao Foxes and Images of Saligao. These found their way into the houses of Goan families residing in the UK, the UAE and Australia, and jumpstarted her project. The money received was offered to the church and permission was sought to begin the clean-up work. This lead to the formation of the group Shalome, which consisted of Clarice’s friends, to undertake the transformation. A water connection was put in place, weedicide was sprayed several times, and new plants were brought in to beautify the cemetery. Unfortunately, the Church of Mae de Deus does not have a separate fund for cemetery maintenance, and now that she had taken on the task of doing so Clarice had to look for ways to keep the work going. Help came in the form of sponsorship from those who had bought her canvas prints earlier, but in the long run something more permanent was required. Thus Clarice decided to explore the realm of painting by swimming in uncharted waters. She chanced upon new techniques of painting called Spin Painting and Fluid Painting. Syringe Painting is a technique she developed herself using medical syringes. ‘Because I have nursing experience it is easier for me to control the flow of the paint,’ says Clarice of the painstaking skill with which she paints. All three techniques require an enormous amount of patience and perseverance. An extraordinary amount of paint is required and she says, ‘When art students ask me to teach them these techniques, I hold back. To be true to your art you need to be free of ideas of the cost, time and energy these paintings will take up and most young students have those concerns. But I will begin teaching it, especially to those who are dedicated to art.’ The videos of two of these techniques have been released on YouTube. In 2014, Clarice had her first group exhibition Chitrasangam. Later that same year she went on to exhibit paintings in Spin, Fluid and Syringe techniques, as well as abstract paintings on Goan themes, in her collection Embracing the Beat of My Art at Kala Academy. Gallery Gitanjali will be exhibiting her latest collection entitled Awakening to the Cosmos Within, from the 1st of August, 2015. The collection represents Clarice’s deep connection with God and her belief that we are all spiritual beings who possess the ability to channel the Divine Presence within us, resulting in aesthetic and spiritual expressions of the cosmos through art. She explains her own inspiration, ‘I usually get an idea in my head and then I start painting. I see whatever I have in my mind taking shape and that to me is amazing! It is the Holy Spirit working!’ She considers herself a spiritual rather than a religious person and does not wish to be slotted as a Christian artist but as someone who has found God in her innermost being and is filled with joy to reflect it in her art. Apart from subscribing to the idea of art for art’s sake, Clarice’s art is aimed at philanthropy as she claims only the cost of the art materials. One of her paintings, Hope Floats, is being auctioned off by Gallery Gitanjali to pay for the permanent premises of Sethu, a charitable trust. Bidding will close on the 10th of August. Clarice signs all her paintings in Craig’s name, in memory of the son whose tragic demise set her on this journey. Even as she readies herself for this exhibition, she is already brimming with ideas for her next one. ‘I have so many ideas in my head right now. I’m just waiting for this exhibition to be over so I can start on them,’ she says with excitement bubbling in her voice.